Morning Report: Zuora, a subscription payments company, set a proposed price range for its IPO this morning. The Zuora IPO inched closer to live this morning, as the company set terms for its debut with a proposed price range of $9 to $11 per share, per its recently re-filed S-1 document. At the upper end of its range, Zuora could raise as much as $126.5 million in its IPO, at currently-denoted terms. At midpoint, using Zuora’s greenshoe-filled post-IPO share count, Zuora would be worth $1.04 billion, give or take. Taking into account options, RSUs, and the like, that figure rises to just about $1.3 billion. The firm’s last, known post-money valuation was around $1.1 billon (give or take), according to Crunchbase. So, the firm is looking at a slightly down IPO value on a non-diluted basis, presuming mid-point pricing. However, recent IPO Dropbox managed to raise its range, and then price above that heightened band. So, perhaps Zuora has more space to run. Revenue growth of 48.6 percent from $113.0 million to $167.9 million (YoY, last two fiscal years). Net losses of $47.2 million, up from $38.8 million the fiscal year prior. Around $25 million in operating cash burn in its last fiscal year, along with about $16 million in investing cash burn during the same period. About $48 million in on-hand cash. So, Zuora needs to raise capital to fund its GAAP and non-GAAP unprofitable business, thus making its IPO pricing a bit more material than it was for Dropbox say, or for Spotify’s impending direct listing. What we care about is how the public markets value a company as unprofitable as Zuora is today that is also growing north of 50 percent. Zuora thinks that about a 6x trailing revenue multiple is right. We’ll see. Another hotly anticipated IPO is in the wings. Shares of Spotify are slated to begin trading Tuesday on the New York Stock Exchange. The offering will be watched closely for its size and well-known brand, and also because the music streaming company is using an unusual IPO method called a direct listing. It’s also worth noting who hasn’t filed to go public. A number of high-profile unicorns that were expected to launch IPOs years ago have instead remained private. Industry insiders believe robust public markets, coupled with Dropbox’s strong debut, could usher in more big-name offerings. 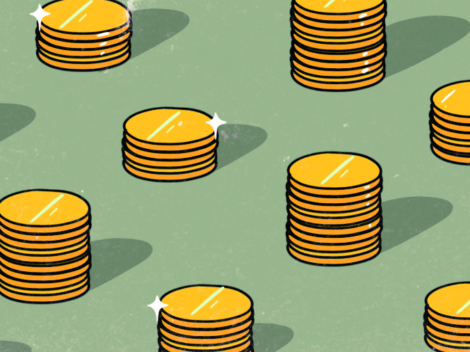 Supergiant venture funds of $1 billion or more are accounting for an ever-larger chunk of capital raised for the asset class. That’s contributing to a decline in the market share of mid-sized funds of between $100 million and $500 million, a Crunchbase News analysis finds. SiFive, a startup providing custom chip designs, raised $50.6 million in a round led by Sutter Hill Ventures, Spark Capital, and Osage University Partners.